You will achieve flawless results with TTP FAST WAX. Probably the easiest vehicle wax to use. Therefore allowing non professionals to get the same results as valeters and detailers. Developed and manufactured in the UK. 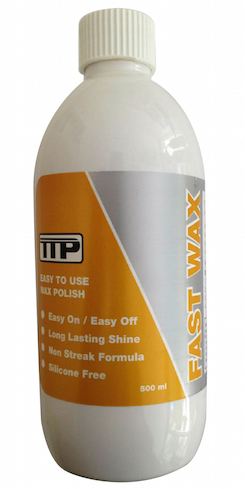 Fast Wax quickly gives a deep shine to car paintwork in minutes. Suitable for to new or used vehicles. Fast wax non streaking formula is silicone free and promotes a deep long lasting shine.